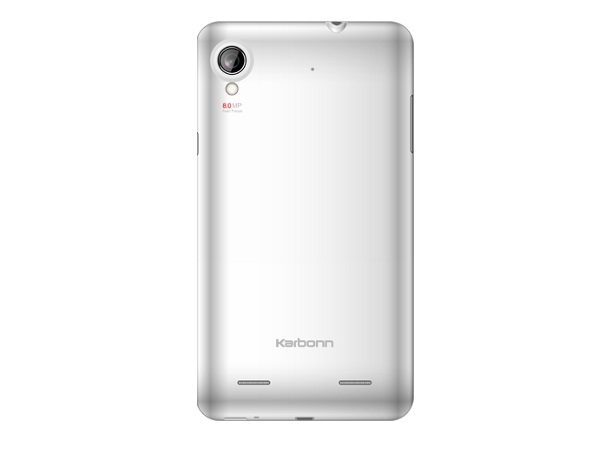 Karbonn A30 is a newly launched Android Dual Sim Smartphone. The device comes with 5.9-inch (15cm) touch screen display. With its Dual Sim-Dual Standby mode, user can be in touch with the people they know personally and professionally. Karbonn A30 comes in a stylish ultra-thin body with smooth-silky finishing. It is available in White and Black color combination. The internal memory of the phone is 4 GB, and the external memory is up to 32 GB. The 8.0 Mega Pixel Rear-Camera, with auto-focus and LED flash features, enables capturing of crystal clear images. There is also a 1.3 MP Camera at front for video calling purposes in Gtalk, Yahoo, and Skype. In this Smartphone, user can enjoy playing unlimited songs and high-quality videos with super sound effects. The mobile TV application enables one to watch television channels free of cost and user can play high-definition games. The 3G with 7.2 mbps and Wi-Fi 802.11 b/g/n offer high-speed internet connection. The device also boasts of other connectivity features like EGPRS, Bluetooth, WAP, etc... The phone is bundled with Li-ion 2500mAh battery that provides talk time of up to 10 hours and standby time of up to 600 hours. 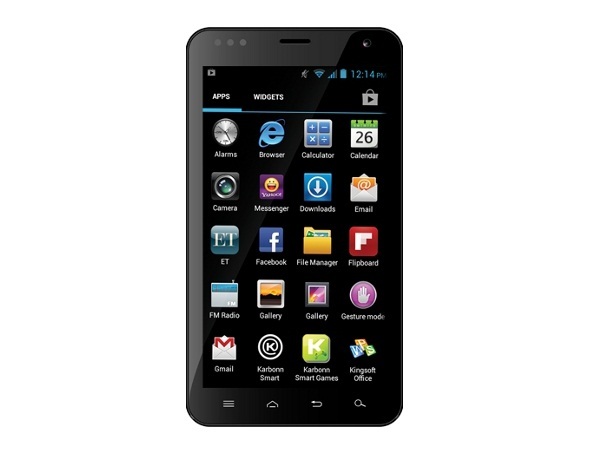 Karbonn A30 runs on Android 4.0 Ice Cream Sandwich OS and is powered by 1 GHz Dual Core Cortex A9 Processor.